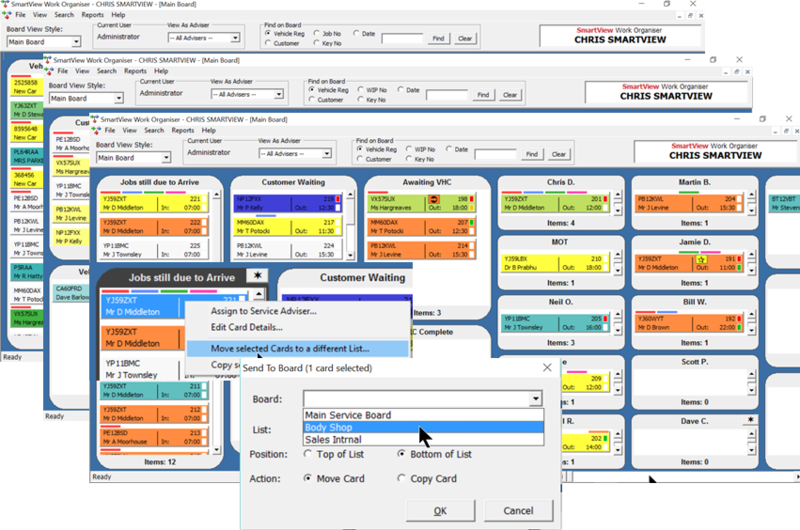 Some T Card board layout examples Field Engineers, Help Desk Operation, Service Department, Body Shop, Car Sales Department and General Project showing how flexible our T Card System is. 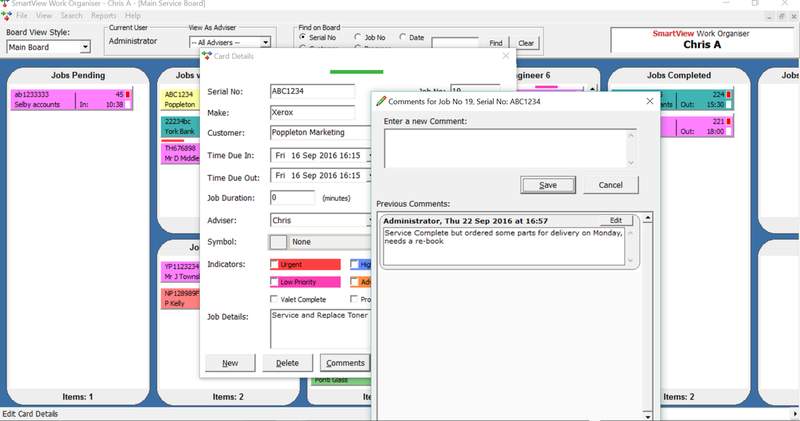 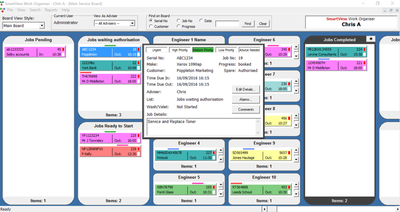 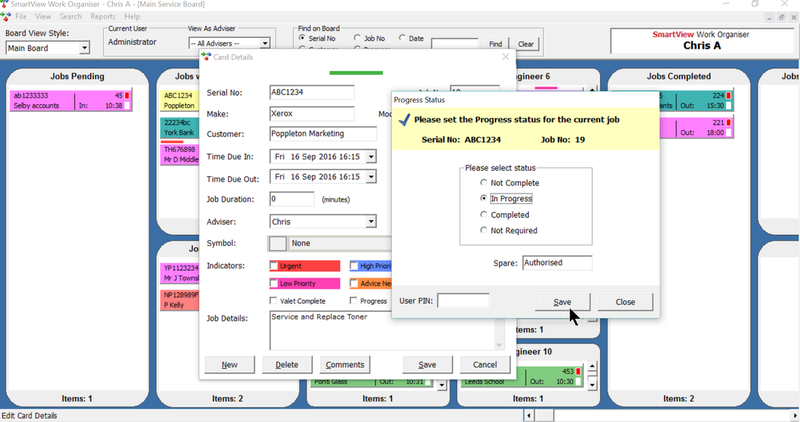 Edit the T-card board, Titles and Captions to suit your department or requirements. Colour code the T-Card by a person, department or type of project . List heights and borders are adjustable so you can group lists and you can have as many lists left to right on the board as you require.